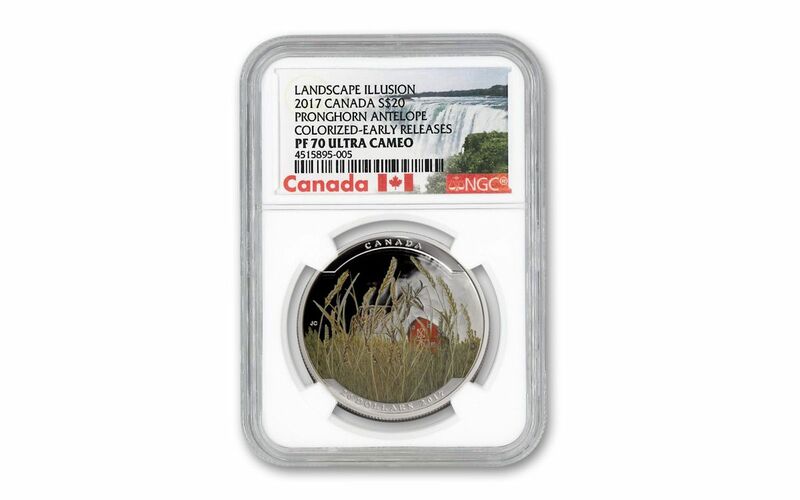 Things Aren’t Always What They Seem, Like This Antelope Silver Proof from Canada! 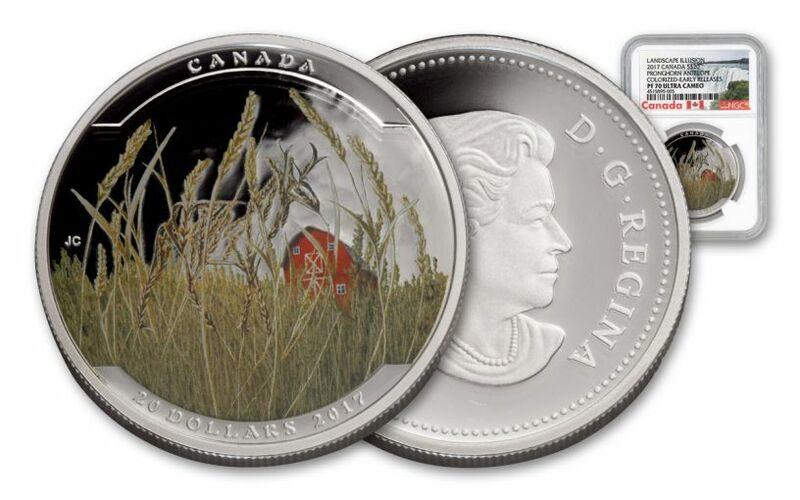 Canada issues many collectible coins each year and a fair number of them have wildlife designs. Considering the wide variety of animals found in Canada and all the people around the world who appreciate them that makes sense. This 1 oz. Silver Proof depicts a pronghorn antelope. The pronghorn antelope can be found throughout much of North America. 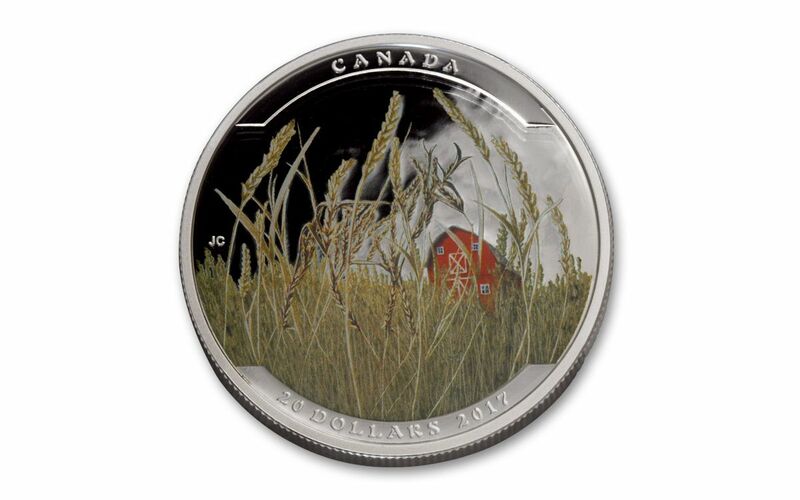 Struck by the Royal Canadian Mint, this Proof is made of .9999 fine silver. It was released as part of the Landscape Illusions series. Part of the Landscape Illusions Series– The Pronghorn Antelope is the 4th design of 5 in the Landscape Illusions series. The first design of the series was released in 2016 and it reached its conclusion in 2017. The Pronghorn Antelope design shows a large field with a barn in the background. The crops in the field form the shape of a pronghorn. Portions of the design have been colorized. 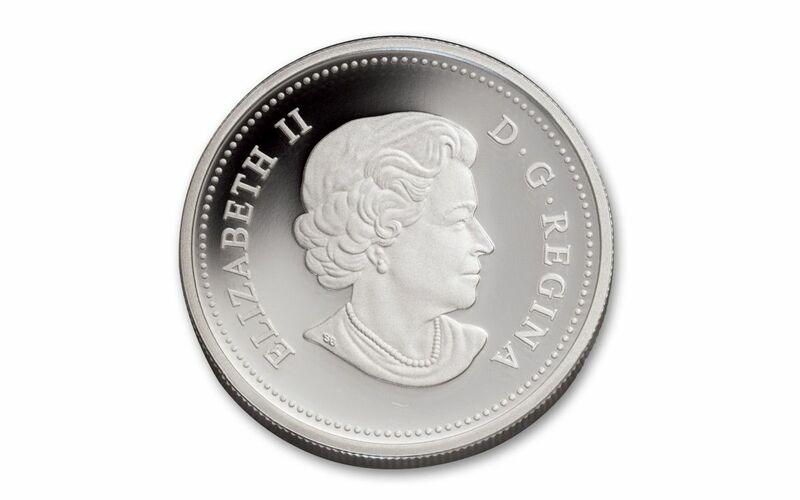 Extremely Pure Silver– Since this coin was struck by the Royal Canadian Mint, it is made of .9999 fine Silver. This is some of the purest Silver on the market today. The Royal Canadian Mint is known for the quality of their coins and bullion. Canadian Legal Tender– This Proof is legal tender in Canada. It has a face value of $20. Since it is Canadian legal tender, the obverse of this coin displays Susanna Blunt’s portrait of Queen Elizabeth II. Limited Mintage– Each coin in the Landscape Illusions series had a limited mintage and the Pronghorn Antelope design is no exception. Mintage of this coin is not to exceed 5,500 pieces. This number is fairly low for a modern coin. Certified by NGC – This coin received the grade of Proof 70 along with the Ultra Cameo and Early Releases designations from the Numismatic Guaranty Corporation. It’s completely free of flaws, that’s the only way a coin can be awarded the grade of Proof 70. Order from GovMint.com today and this NGC PF70 UC Early Releases 2017 Canada Pronghorn Antelope 1 oz. Silver Proof could be yours!